Created for aspiring artists whose work never even made it onto their mother’s refrigerator, this handbook contains an accessible, step-by-step program for learning how to draw. This revised edition breaks the process down into three distinct stages—the first presents the key techniques that form the core of the process; the second focuses solely on texture; and the third outlines how to select and use photographs to be used as references for drawing. 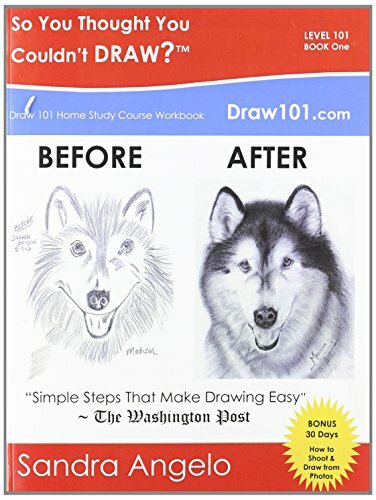 Designed as a self-study workbook, this handbook provides clear, specific instructions that eliminate guesswork and enable amateurs to master drawing techniques in no time. Gridded exercise pages make it easy to complete the lessons right in the book. Sandra McFall Angelo is the author of 18 award-winning DVD/videos, five companion books, and more than 50 magazine columns and articles in publications such as American Artist, Art Materials Today, The Artist's Magazine, Arts & Crafts, and Decorative Artist Workbook. She has appeared on ABC, the Discovery Channel, HGTV, and TNN among others. She is also a fellowship recipient from the Rhode Island School of Design. She lives in San Diego.